Editor's Note: If you like my insights and perspective in this article please join my inner circle here. 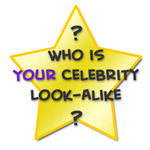 Which celebrities do you look like? AOL may be able to help answer that question with its recent launch of an innovative facial recognition technology, similar to that of Riya and MyHeritage, created by AOL Labs in collaboration with Oxford University and Caltech University. 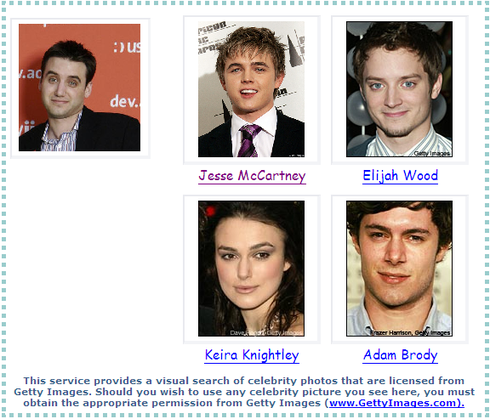 Thus far the technology has been used in a fun little site called FindMyCelebrityLookAlike.com. AOL Labs is the technology research group of AOL responsible for delivering insight and capabilities to build the next generation of services for the company. By submitting a photo by either uploading an image or by submitting an URL to the photo you can search celebrities for a match. 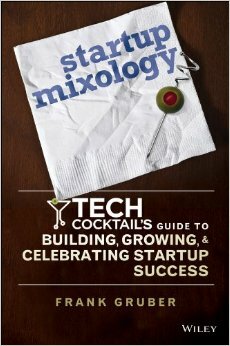 Users can tweak the search results by limiting them to a particular gender. In addition, users can find additional information about the celebrities that they look like. So find out who you look like. I decided to look for both male and female results and turns out I look like singer Jesse McCartney, actor Elijah Wood, actress Keira Knightley and actor Adam Brody. What do you think about the results? I am kind of close to the situation so it is difficult for me to judge. If you like my insights and perspective in this article please join my inner circle here.